ALS Research Forum | In ALS, Do Motor Neurons Go Out with a Bang or a Whimper? In ALS, Do Motor Neurons Go Out with a Bang or a Whimper? Do motor neurons that die during ALS go out quietly, or with their synapses blazing? In the March 27 eLife, researchers led by Marin Manuel of Université Paris Descartes suggest the former, at least for lower motor neurons. They report that in mouse models of amyotrophic lateral sclerosis, some of these neurons lose their ability to fire just before they degenerate. These motor neurons also happen to innervate the largest, most powerful muscle fibers, which are known to wither first in ALS. Together, the findings suggest that rather than becoming hyperexcitable, as previous studies have suggested, motor neurons in ALS become hypoexcitable just prior to their demise. Ongoing clinical trials are testing compounds that reduce neuron activity in patients with ALS (see Feb 2017 news). This strategy followed reports that in the early stages of the disease, neurons in the motor cortex are hyperactive, requiring weaker electrical currents to fire off action potentials (see Sep 2015 news; Vucic et al., 2008; Geevasinga et al., 2015). Others have reported that motor neurons derived from induced pluripotent stem cells from ALS patients were hyperexcitable in the early days of culture, but became hypoexcitable later on (see Jan 2015 news; Sareen et al., 2013; Wainger et al., 2014). For their part, Manuel’s group found that just prior to symptom onset, a subset of spinal cord motor neurons appeared hypoactive in SOD1-G93A mice. The neurons failed to fire repetitively in response to a sustained stimulus (Delestrée et al., 2014). However, it was unclear whether those hypoactive neurons were on the brink of degeneration. To address this, first author Maria de Lourdes Martinez-Silva and colleagues took advantage of a well-known phenomenon in ALS—large, fast-twitch motor units are the first to fail. These units comprise a single motor neuron, which controls several fast-twitch fibers that contract rapidly and powerfully but fatigue easily. When such a motor neuron starts to degenerate, its axonal terminals disconnect from the muscle fibers, causing muscle weakness and eventually atrophy. Midsize motor units, which also contract quickly but do not fatigue, degenerate next. Small motor units, which consist of slow-twitch fibers that contract slowly and weakly but never fatigue, succumb last. The researchers asked if the most hypoactive motor neurons innervated the largest, fast-fatigable motor units; this would suggest hypoexcitability happens just prior to degeneration. The researchers developed an elaborate surgical protocol to stimulate individual motor neurons in the mouse spinal cord, record their electrical outputs, and also measure the resulting muscle contractions in the ankle. This allowed them to simultaneously determine if that motor neuron was hypoactive, and which type of motor unit it belonged to, based on contractile properties such as twitch amplitude, contraction time, and resistance to fatigue. The researchers examined SOD1-G93A mice at 40–60 days of age, when they still have intact neuromuscular junctions. From electrical recordings of 80 motor neurons in SOD1-G93A mice and 63 in wild-type, the researchers found that most mounted an action potential in response to a single electrical shock. However, 21 percent of motor neurons in SOD1-G93A mice failed to fire repetitively when faced with a relentless ramp of current, whereas in wild-type only 6 percent struck out in this way. In SOD1-G93A mice, these hypoactive neurons connected to about 40 percent of the fast-fatigable motor units and none of the slow-twitch units. They innervated 20 percent of the midsize fatigable motor units, but only the largest units within that class. The findings suggested that the hypoexcitable motor neurons were connected to the most vulnerable motor units, which degenerate earliest in disease. The researchers replicated these findings in FUS-P525L knock-in mice, which develop motor symptoms more slowly than the SOD1 model. When they were six months old, just prior to expected symptom onset, some of their motor neurons innervating the largest, most vulnerable motor units were hypoexcitable, firing once but failing to repetitively fire like wild-type neurons (see also Dec 2017 conference news). The findings suggest that just prior to degeneration, motor neurons lose their ability to fire repetitively, yet still respond normally to an initial electric jolt, Manuel told Alzforum. Interestingly, the researchers also found that the hypoexcitable neurons were slightly less polarized on average—a sign of heightened readiness to respond to electrical inputs. This suggested that, if anything, these neurons were primed to respond to an initial stimulus, at least. However, they could not maintain firing beyond the initial action potential. The debate about hyper versus hypo may be partly semantic. Clifford Woolf of Boston Children’s Hospital suggested this slight depolarization could be interpreted as hyperexcitability. 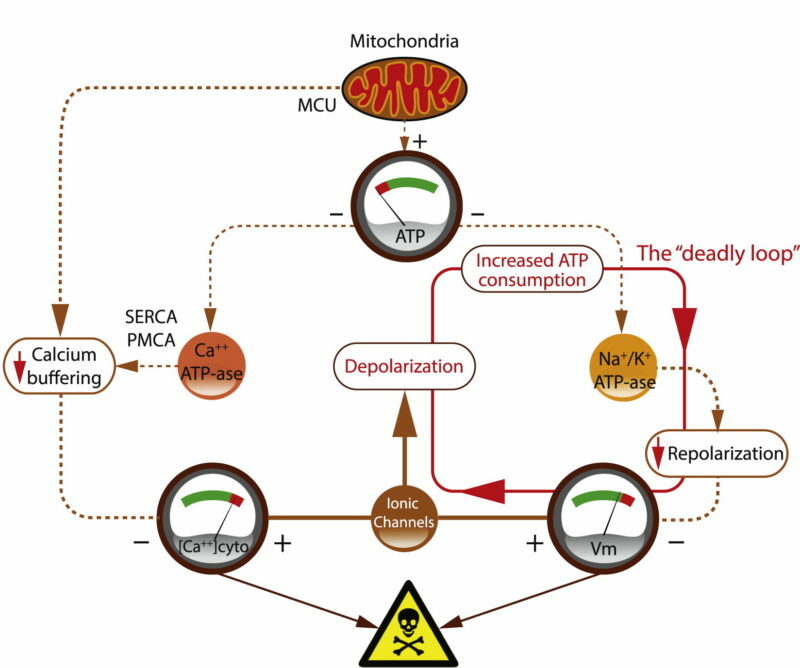 With a membrane potential closer to the threshold needed to set off an action potential, voltage-dependent phenomena, such as calcium influx, might occur more readily, and that could cause neurotoxicity, he wrote. However, he agreed that the lack of repetitive firing suggests hypoexcitability. Woolf settled on something in the middle. “I would argue their data shows evidence, then, of abnormal excitability rather than just of hypo- or hyperexcitability” he said. 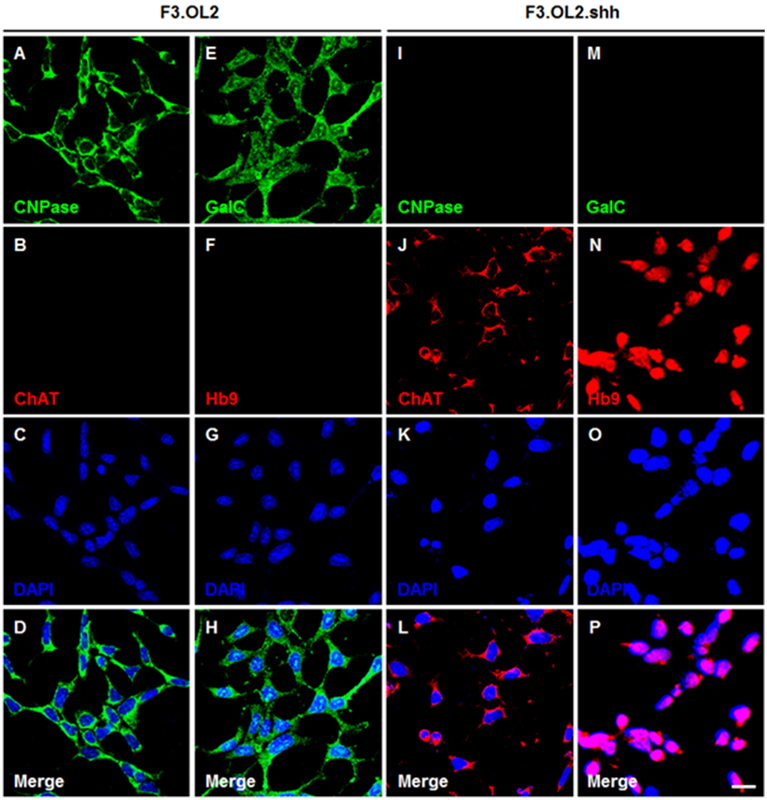 Manuel told Alzforum that these seemingly contradictory attributes in the same motor neuron—readiness to fire, yet inability to fire repetitively—could explain discrepancies between his findings and clinical observations. In ALS patients, researchers stimulated upper motor neurons in the cortex and measured outputs in the form of muscle twitches. By this measure, slightly depolarized motor neurons might appear hyperexcitable, he said, because their ability to repeatedly fire is not being tested. Gareth Miles of the University of St. Andrews in Scotland raised a similar point. “Human studies are largely based on peripheral axon recordings, and there are a lot of different things going on there compared to what’s happening at the soma,” he said. In fact, computer models of motor neuron degeneration predict that chronic loss of ATP, a neuron’s main energy source, leads to membrane depolarization, which becomes more extreme further from the cell body (see Aug 2014 news; Le Masson et al., 2014). 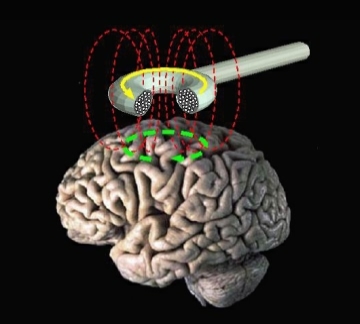 Because Manuel measured repetitive neuronal firing at its source in the soma, his measurements were not confounded by events occurring further downstream. Human studies that gauged neuronal activity based only on membrane potential, or just on the initial action potential, might therefore give the impression that motor neurons are hyperexcitable, when in reality they can only fire once and then fall flat, Manuel said. Previously, Miles had reported that during their hypoexcitable phase, iPSC-derived motor neurons had a slightly depolarized membrane potential (Devlin et al., 2015). He thinks Manuel’s data are consistent with the idea that a hypoexcitable phase precedes degeneration. Against this backdrop, clinical trials designed to dampen an apparent hyperexcitability are underway (for review, see Noto et al., 2016). One trial is testing the anticonvulsant retigabine, a potassium channel opener that beefs up membrane polarity, in ALS patients (see Feb 2017 news). Another tests the sodium channel blocker mexiletine, which can prevent depolarization and stop neurons from firing (see May 2017 news). Riluzole, an inhibitor of glutamate signaling and also a sodium-channel blocker, is approved by the FDA for ALS. Manuel would not speculate about how these drugs might affect motor neuron activity. For one thing, in a physiological setting, lower motor neurons receive inputs from upper motor neurons, not electrical zaps from a machine. Also, myriad other cells in the motor cortex and spinal cord, including inhibitory interneurons and glia, contribute to the final axonal output that reaches the muscle tissue, he said. Martinez-Silva ML, Imhoff-Manuel RD, Sharma A, Heckman CJ, Shneider NA, Roselli F, Zytnicki D, Manuel M. Hypoexcitability precedes denervation in the large fast-contracting motor units in two unrelated mouse models of ALS. Elife. 2018 Mar 27;7 PubMed. Vucic S, Nicholson GA, Kiernan MC. Cortical hyperexcitability may precede the onset of familial amyotrophic lateral sclerosis. Brain. 2008 Jun;131(Pt 6):1540-50. Epub 2008 May 9 PubMed. Geevasinga N, Menon P, Nicholson GA, Ng K, Howells J, Kril JJ, Yiannikas C, Kiernan MC, Vucic S. Cortical Function in Asymptomatic Carriers and Patients With C9orf72 Amyotrophic Lateral Sclerosis. JAMA Neurol. 2015 Nov;72(11):1268-74. [PubMed]. Wainger BJ, Kiskinis E, Mellin C, Wiskow O, Han SS, Sandoe J, Perez NP, Williams LA, Lee S, Boulting G, Berry JD, Brown RH Jr, Cudkowicz ME, Bean BP, Eggan K, Woolf CJ. Intrinsic membrane hyperexcitability of amyotrophic lateral sclerosis patient-derived motor neurons. Cell Rep. 2014 Apr 10;7(1):1-11. Epub 2014 Apr 3 PubMed. Delestrée N, Manuel M, Iglesias C, Elbasiouny SM, Heckman CJ, Zytnicki D. Adult spinal motoneurones are not hyperexcitable in a mouse model of inherited amyotrophic lateral sclerosis. J Physiol. 2014 Apr 1;592(Pt 7):1687-703. Epub 2014 Jan 20 PubMed. Devlin AC, Burr K, Borooah S, Foster JD, Cleary EM, Geti I, Vallier L, Shaw CE, Chandran S, Miles GB. Human iPSC-derived motoneurons harbouring TARDBP or C9ORF72 ALS mutations are dysfunctional despite maintaining viability. Nat Commun. 2015 Jan 12;6:5999. PubMed. Le Masson G, Przedborski S, Abbott LF. A computational model of motor neuron degeneration. Neuron. 2014 Aug 20;83(4):975-88. [PubMed]. Noto Y, Shibuya K, Vucic S, Kiernan MC. Novel therapies in development that inhibit motor neuron hyperexcitability in amyotrophic lateral sclerosis. Expert Rev Neurother. 2016 Oct;16(10):1147-54. Epub 2016 Jun 17 PubMed. Eisen A, Braak H, Del Tredici K, Lemon R, Ludolph AC, Kiernan MC. Cortical influences drive amyotrophic lateral sclerosis. J Neurol Neurosurg Psychiatry. 2017 Nov;88(11):917-924. [PubMed]. Sareen D, O’Rourke JG, Meera P, Muhammad AK, Grant S, Simpkinson M, Bell S, Carmona S, Ornelas L, Sahabian A, Gendron T, Petrucelli L, Baughn M, Ravits J, Harms MB, Rigo F, Bennett CF, Otis TS, Svendsen CN, Baloh RH. Targeting RNA foci in iPSC-derived motor neurons from ALS patients with a C9ORF72 repeat expansion. Sci Transl Med. 2013 Oct 23;5(208):208ra149. [PubMed].